Daniel Leon Jankowski, known as Dan, passed away Friday, April 12, 2019 after a battle with cancer. He passed peacefully with his family by his side and will be lovingly remembered by his family and friends. Dan was born December 2, 1950, in Chicago, IL. He attended Glenbrook North High School and went on to graduate from Harper College in Palatine, IL. Dan met his wife of 42 years, Nancy on her 21st birthday and they were married June 18th, 1977. Dan enjoyed spending time with his family and beach vacations in Miami, FL. Providing for his wife and six children was Dan’s primary focus in life. He made sure his children were all educated in the Catholic church where they would have an opportunity to attend college and provide for their own families one day. 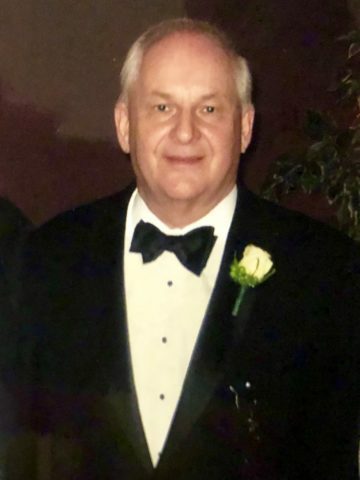 He loved having his six grandchildren over and taking them to the pool, and he loved Sunday family dinners. Dan is survived by his wife, Nancy, children, Patrick (Lea), David, Eddie, Shannon (Daniel), Kevin (Heather), and Andrew, grandchildren, Russell, Corbin, Hudson, Ford, Finn, and Theo, and his brother Douglas. Visitation and Funeral Mass will be held at St. Henry Catholic Church, Tuesday, April 16th from 5:00-7:00 and Wednesday, April 17th at 11:00 am. My sincere deepest condolences to Dans loving Family and Friends. 🙏✝️ John 3:16. My deepest sympathy to all of you. He will be remembered as one of the kindest people I have known. One of the nicest and most down to earth people I have met since moving to Nashville 29 years ago. He will certainly be missed. Jim and I have great memories of all the Jankowskis and send our love and prayers. Love and peace to you, Nancy, and all of your children. Dan was one of the nicest people I have ever known. He was so genuine and always a pleasure. I am so sorry for your loss, Nancy, Shannon, Pat and all. Love your family.